Are you responsible for creating your intranet software business case and not sure where to start? Our handy how to write an intranet software business case will take you through the important elements of a typical intranet software business case and we don't stop there. We have also created a template for you to use to save you even more time. A key part of getting the go ahead for an intranet project is providing your senior management team with an intranet business case. It's an opportunity for you to outline what your software objectives are, why you need to review your existing intranet and how you propose to move forward. 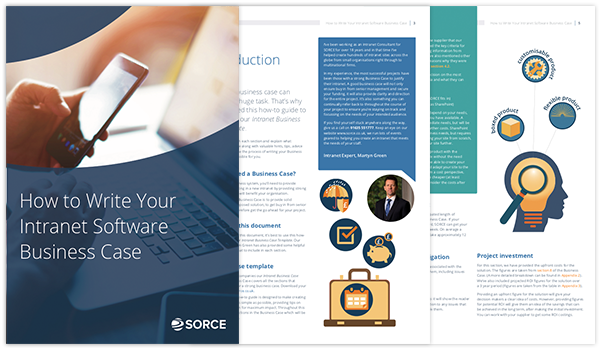 To download both the How to Write your Intranet Software Business Case guide and our Intranet Business Case Template, just fill out your details and you can start creating your own intranet software business case straight away.